Join us for a film screening of Dave Made a Maze, winner of Slamdance’s Audience Award for Best Narrative Film. 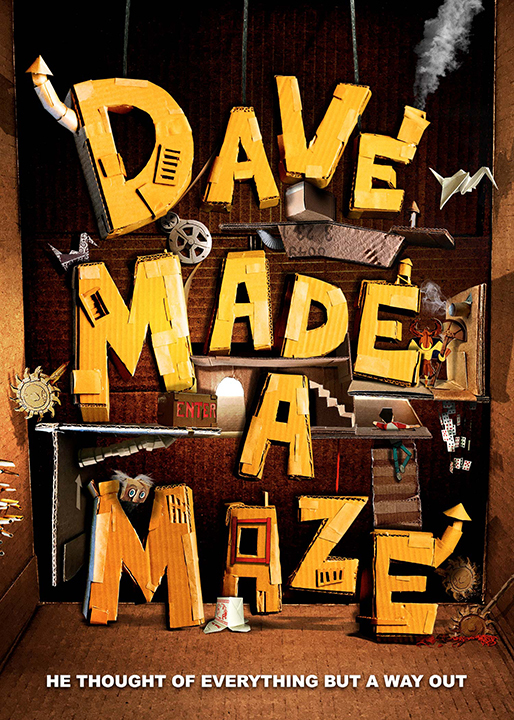 In the film, Dave, a frustrated artist who has yet to accomplish anything significant in his career, builds a fort out of cardboard boxes in his living room, only to wind up trapped inside by the fantastical pitfalls and critters of his own creation. View the film trailer. This film screening is hosted by Daniel's Art Party at Simon's Rock, an exploration of progressive multimedia and community engagement. Open to the public with a suggested donation of $10.